We've now travelled further south to approx. 64.2 degrees. It was slow progress due to weather and fog last night so as a result we have a change of itinerary. Instead of a zodiac cruise in Foyn Harbour we are going to do a landing close to Two Hummocks Island at a location called Hydrurgga Rocks. 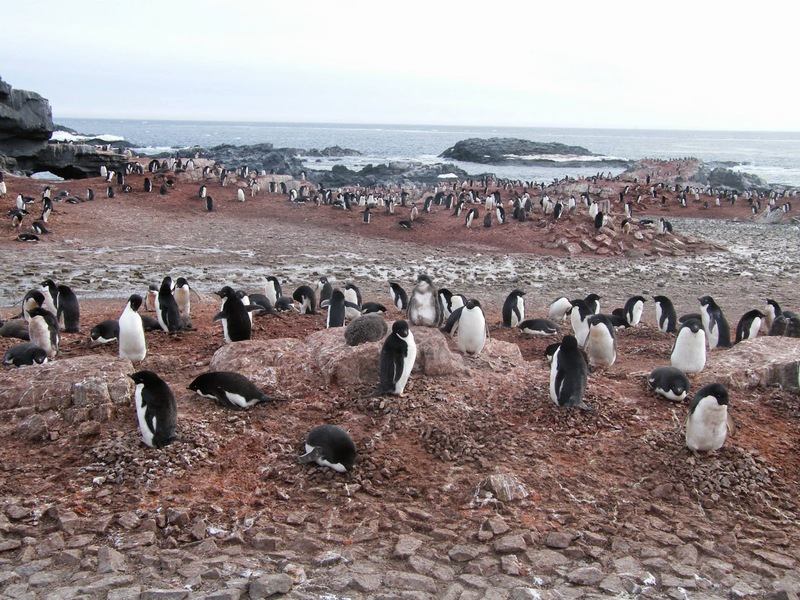 The rocks are home to Fur and Weddell seals, Gentoo and Chinstrap penguins and Antarctic Cormorants. From the rocks we can look west to Two Hummocks Islands where huge glaciers hang from the mountains, the constants bangs and cracks as the glacier moves echoes across the water to us. 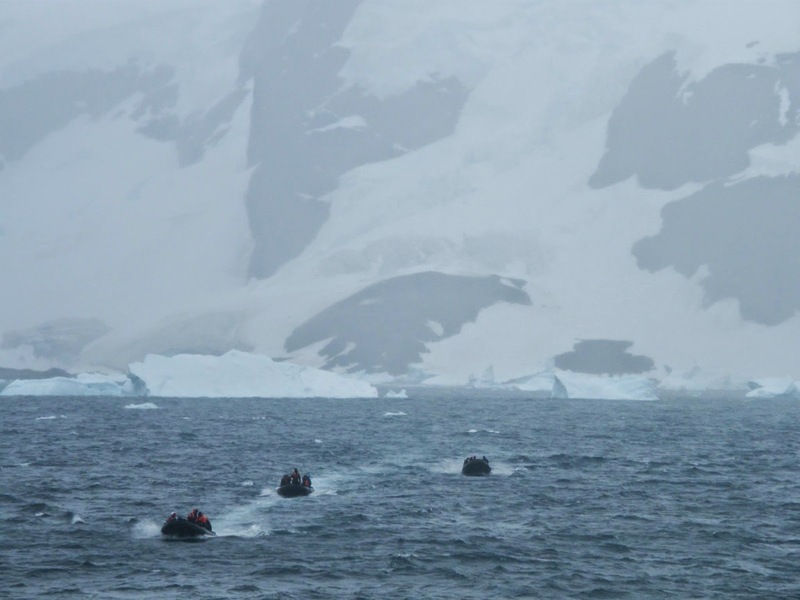 After observing the wildlife we made our way to the high side of the island to look over to Two Hummocks Island in the hope that we may get to observe the glaciers calving. For those of us that stayed we were rewarded with one calving event, always a great sight to see…the birth of another iceberg! The afternoon landing was scheduled for Cuverville Island but Antarctica had other plans for us. Three zodiac attempted to land, one being successful but within minutes the wind had increased to almost 50 knots so we were ordered to abort the landing and return to ship immediately. It wasn't all bad though! Those of us waiting on the ship had a great display by a humpback whale tail thrashing about 50 metres. One of the zodiacs returning had a close up encounter with a whale too and came back on board full of excitement! Even with a landing cancelled it was still an excellent day and Antarctica showed us her many moods! Tomorrow morning we are scheduled to sail through the Lemaire Channel at approximately 6.30 so it's an early night for most…there were the few late nighters…you know who you are ;-)…but sure we're on our holidays!